online store | elder brothers? 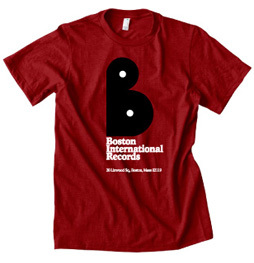 All tees come in tag-less, super-comfy styles with the Boston House’n Authority logo screen printed on the inner neckline. These shirts look amazing, are lightweight, are printed locally and fit true to size. Happy shopping! 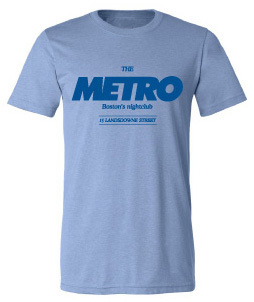 For many adventurous souls in Boston, The Metro was the discotheque of choice in the 1980s. Now you have a chance to travel back in time for one last night of dancing behind the Green Monster in this 4.2 oz., 50/50 cotton/poly blend tee in soft heather blue. Men’s sizes only. When the weather gets hot in Boston, there’s only one place to be: Nantasket Beach. Head back to Paragon Park for one last ride on the coaster before drinking a firecracker at Uncle Sam’s. 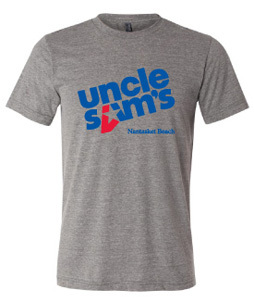 This 4.0 oz., tri-blend tee comes in comfy heather gray. Men’s sizes only. Move over Philly, the new sound on wax comes from Beantown. Get your electro crew together and hit the streets in this blazing red t-shirt paying homage to local hip-hop legends. This 4.8 oz., organic cotton tee comes in catchy independence red. Men’s sizes only.